According to widespread reports in Brazil and beyond, Arsenal have come so close to the completion of their first summer signing. 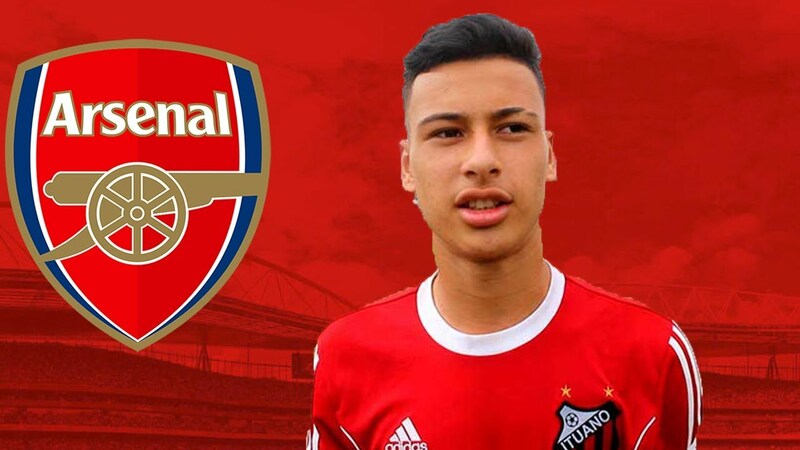 Gabriel Martinelli is the one in question. He is a 17-year-old who has 10 goals in 31 appearances for Ituano, a Sao Paulo-based club. The teenager has reached verbal agreement with the Gunners ahead of a transfer as soon as the required paperwork is done, says Yahoo Esportes. The claim further states that the slight delay is as a result of Martinelli's lack of an Italian passport which he is expected to acquire within a month. Only then will the deal be officially announced. Arsenal will pay a £5 million fee to get the services of the forward. They beat about 25 clubs some of which are Barcelona, Leeds United, Middlesbrough and Flamengo to the signature of the highly-talented starlet. Marcos Casseb, the agent of Martinelli, confirmed not to long ago the plans of his client to ply his trade with a top team in Europe. "To be honest we expected this to happen," Casseb told Globo Esporte when asked about the growing interest in Martinelli. "His evolution since last year is very fast, he is above average. "The initial planning is for him to go straight to Europe." Martinelli had a trial with Manchester United at the age of 15 but the Red Devils rejected the opportunity to snap him up.